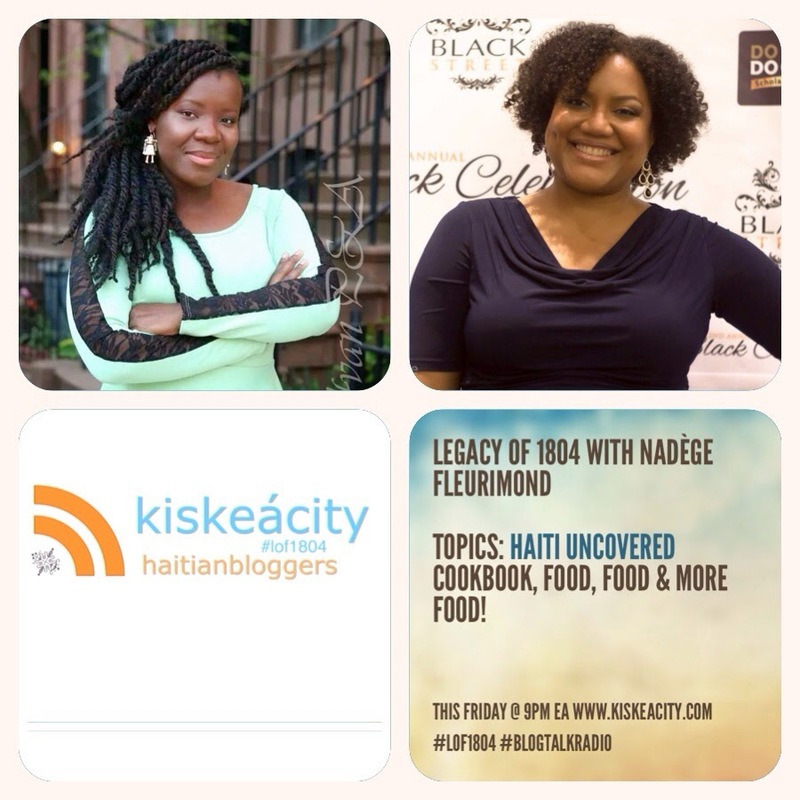 Join me as I welcome Chef Nadège Fleurimond to discuss her new cookbook Haiti Uncovered. Listen LIVE at http://www.blogtalkradio.com/blackwholeradio/2014/09/20/legacy-of-1804-with-nadge-fleurimond-lof1804 or on the phone at 323-927-2913. On Twitter, react with the hashtag #LO1804. Nadege Fleurimond is the owner of Fleurimond Catering, an off-premise Catering and event planning firm in New York City, specializing in corporate and private functions. Her company has catered for companies and institutions such as Ann-Hauser Busch, Columbia University, Paul Weiss, New York City Hall, BET News, and The Colbert Report, as well as individuals such as Vivica A. Fox, Al Jareau, Wyclef Jean, and Dr Memet Oz's organization Healthcorps. Her recently published memoir and cookbook Taste of Life is a humorous journey into the life of Nadege Fleurimond as she navigates her way through the world of food and the experiences with her family, friends and acquaintances she encounters. She is currently working on her second book, Haiti Uncovered : A Regional Adventure into the Art of Haitian Cuisine, scheduled to be released in November 2014. Haiti Uncovered is a regional travel guide to the culinary heritage and culture of Haitian cuisine. With varying interests in business, government, and social issues, Nadege graduated with a degree in Political Science from Columbia University. Fleurimond has been quoted in the New York Times, has appeared on the national television show Chopped on the Food Network, and is a Food columnist for the Haitian Times Newspaper. In July of 2011, she was invited as the special guest of honor to share her expertise on food at the Guadeloupe Culinary Festival. Nadege Fleurimond believes she is an artist at heart, even if not through song or the canvas. She channels her love of the arts by putting together functions that bring together music, art and food lovers in fun, positive and enriching ways. For more on the book and Nadège, visit www.haiticuncovered.com or www.nadegefleurimond.com.